The standard for the entire universe is peanut butter and jelly. I have always preferred peanut butter and honey. Why? Because jelly isn’t in the Bible but honey is. Jelly, to me, in regard to peanut butter is the same as fish to meat. Some people like Surf’n’Turf (even myself at times), but although the dish and the meat may share the same plate, they are DIFFERENT! The broccoli over at the untouched edge of the plate, same thing. 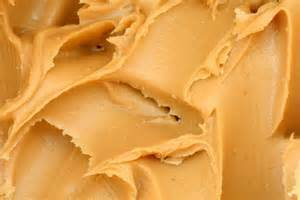 Honey enhances the flavor of peanut butter without replacing it. Jelly, in my humble opinion, tries to stake out its own claim and force out its rivals, including peanut butter. So, in the intergalactic scheme of things, what does this mean? Why honey? Why peanut butter? Why jelly—and can jam be used as a substitute when times are rough? This entry was posted in Communications, Culture, Education, Humor, Media, Science, Technology and tagged honey, jelly, peanut butter. Bookmark the permalink. Elvis’s favorite sandwich: grilled peanut butter with honey and banana. Yum! Accented by shooting at the television. But if you’re a rock legend, who cares? Okay but have you had the pb and j uncrustables yet? I’m also a honey lover. Pb honey and sliced bananas was my non jelly jam in college.